New York State is known as The Empire State. As one of the original thirteen colonies, there is some speculation as to how we became the “the Seat of the Empire”. Regardless of the nickname’s origin, there’s no doubting that we have a long history. With mountain ranges, to Women’s Suffrage history there’s a lot here to learn. We are the fourth most populous state in the nation, but 27th in land mass. With New York City accounting for 40% of the state’s total population, the culture statewide is diverse and sometimes even sporadic. Our geography is unique because we were once covered by an ocean, and then later by ice. The population density is unique in many ways because of the Erie Canal. Our food is unique because we have so many different settlers from various nationalities that reside here. Our culture is unlike most other states. 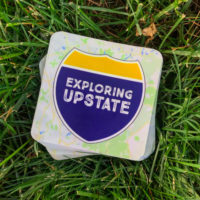 While most people can’t decide where Upstate New York starts and ends, you’ll find people all over who are proud to represent New York from each corner of the state. 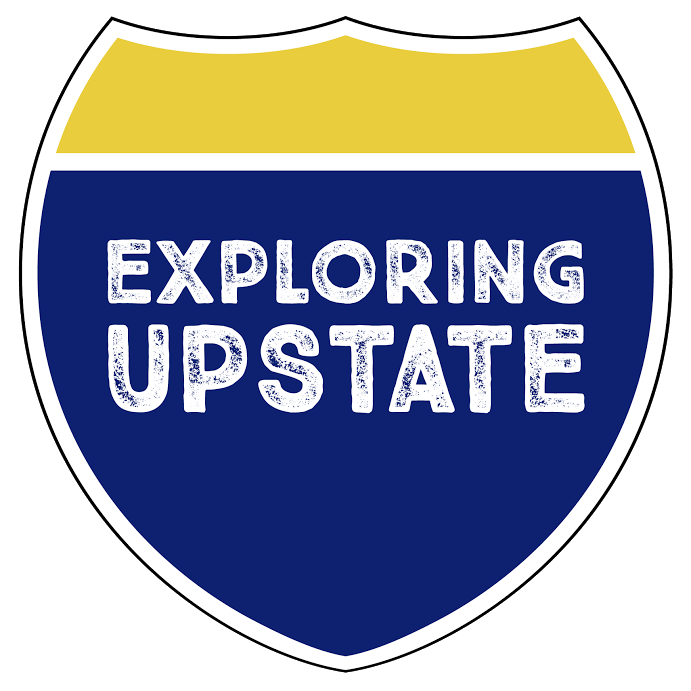 This page of facts will include interesting bits of information that pertain to more than a single region in Upstate. – New York has 390 miles of inland waterways, ranking it 22nd in the nation. – The Second Continental Congress first voted to declare independence from Great Britain on July 2, 1776. In that vote, 12 of the 13 colonies voted in favor while only New York abstained. Representative Robert R. Livingston didn’t feel he had enough information to fairly vote for his constituents. – It is estimated that 90 billion gallons of rain fall in New York State per day (40 inches per year). – In New York State non-prepared foods are exempt from sales tax, but candy is still considered taxable. So, technically, the larger marshmallows to make smores on the campfire are tax exempt, while the small ones that go into hot chocolate are subject to taxation. – New York State has both the highest percentage and the highest number of Jewish residents in the U.S. (second in the world only to Israel). Back in 1880, it was estimated that about 80,000 Jews were living in New York State. In 2012 the estimate soared upwards of 1,800,000. – During 2013, 157,402 tons of road salt and 469,562 gallons of anti-icing agents were used on the NYS Thruway. – To get from Aurora, New York to East Aurora, New York you would actually have to travel westward. – The mohawk hairstyle is indeed named for the native people of the Mohawk Valley, but the association is historically inaccurate. The depiction of Mohawk people in the 1939 film starring Henry Fonda, Drums Along the Mohawk, is responsible for the now common misunderstanding. Mohawk people of New York actually wore a hairstyle that simply was a patch of hair remaining on the crown on the scalp–an effect created not by shaving the balded parts, but by dusting the fingers with ash for grip, and then pulling it out. – A coterminous town is one where the village and the town have the exact same geographic borders forcing a unique structure of government to manage the normally separate entities. They are rare in the United States, but New York has five–and soon will have a sixth!